It was only last year that I first became aware of Travis Pike. The excellent State Records label sent me a promo copy of their latest release, the single ‘Watch Out Woman’ / ‘The Way That I Need You’ by Travis Pike and the Brattle Street East. I was suitably impressed by the two tracks, the first being a raucous slice of frat rock while the flipside was more in an early rock’n’roll style, and wrote a review saying so. A short time later, I was contacted by Travis himself who, after seeing the review, wanted to send me some more of his music. His obvious enthusiasm was rather infectious and I said I’d be happy to review his recent releases. What I didn’t expect was the box-load of material that arrived several weeks later. Two books, a DVD and eight CD albums ! Evidently, Mr Pike was rather prolific in his documentation of past creative endeavors. Faced with this large amount of material, I began to research Travis Pike’s story. Having grown up in the Boston area during the late-Fifties / early-Sixties, he had developed a healthy interest in rock’n’roll, fronting a High School band called The Jesters. His singing career was put on hold when he joined the US Navy and posted to Germany but a series of events led to him singing in local bars and clubs, eventually forming a band called The Five Beats. They were building a strong reputation and beginning to garner record company interest when a serious road accident resulted in Travis being returned to the States for medical treatment and convalescence. 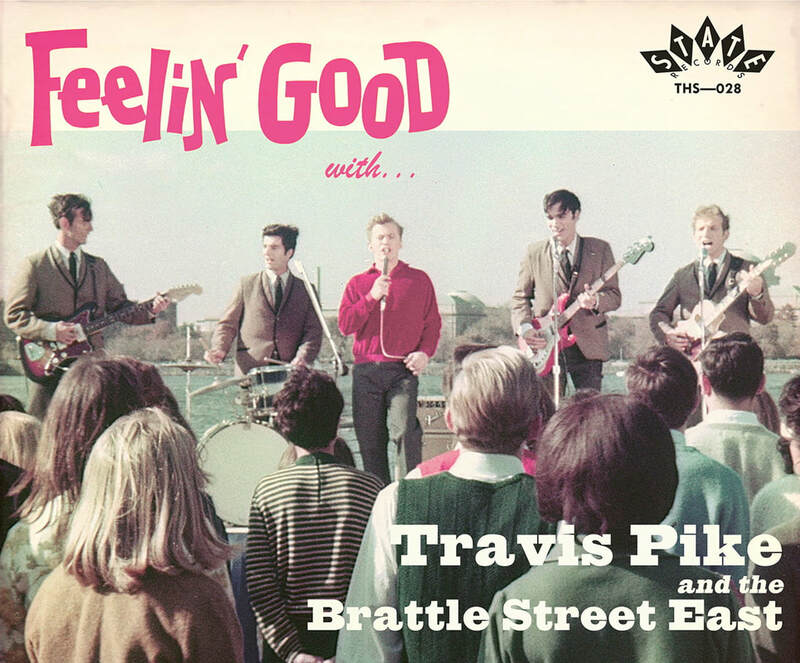 But an unexpected invitation from the younger brother of his former drummer in The Jesters led to a surprise return to the stage which, in turn, inspired his father (a film producer) to create the cult-movie ‘Feelin’ Good’, which would also feature Travis and eight of his original songs. As he continued to recover from his injuries, Travis continued to write new material and, once able, started performing solo in the flourishing ‘Coffeeshop’ music scene around Boston. He performed his own songs together with older folk material, but it was the call of rock’n’roll that proved the strongest and he eventually started putting a new band together. Initially called The Boston Massacre, before converting to The Tea Party, their local reputation steadily built across the New England area, resulting in an invitation to be house band on a new WBZ-TV show, ‘Here and Now’. 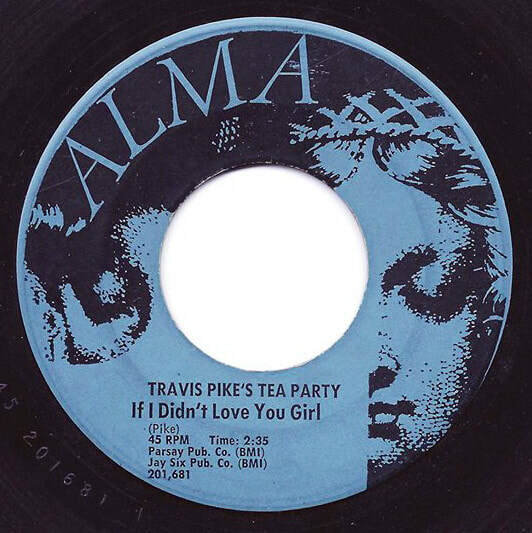 Coinciding with this, the band signed with Alma Records to release their single, ‘If I Didn’t Love You Girl’. But fate proved unkind - the TV show was cancelled after only three episodes and local radio station rivalry led to poor promotion. The single didn’t do as well as expected , even though it was destined to become a genuine collectors’ item. Faced with a negative situation in their home town, the band relocated to Los Angeles but initial high-hopes failed to pan-out and the band eventually called it a day. However, that’s not where the story ends. Travis began working in the film-industry, but still found time to pursue his own work, such as his esoteric rock opera, ‘Changeling’s Return’, and his more whimsical projects, ‘Grumpuss’ and ‘Long Grin’. In more recent years, he has also created his own ‘Otherworld Cottage Industries’ as a means of documenting and making available the creative-efforts from his past. He began by making available the surviving musical clips from 'Feelin' Good' and since then has reissued albums of original material as well as new recordings of songs that were never properly-documented at the time. With so much activity, it’s no surprise that Travis has come to the attention of a whole new audience amongst the many fans of Sixties Garage music. Large articles and interviews have appeared in magazines such as Ugly Things, Shindig ! and Goldmine, with further coverage to be found on numerous blogs and websites. As for myself, I soon realised that, rather than just review the individual releases, it would be much more productive to conduct an interview and hopefully put everything in context. Unfortunately, a face-to-face interview was impossible at present, but that wasn’t going to stop us. The following is the result of intensive internet activity ! To begin with, after reading his book, it was apparent that Travis became interested in creative pursuits from a very early age. Was this something that was inherent in his family ? How did you first become interested in music ? You first started singing to audiences as part of a short-lived High School band, The Jesters. But your first ‘professional’ music-work was when you wrote the title song for the movie ‘Demo Derby’, which was produced by your father. How did the movie and the song come about ? ‘It goes back to when I bought my first car, a beautiful Studebaker Commander V8 Coupe, when I was 18 years old. It cost $50.00 because the Bearcat engine had seized, but some of my older, hot-rodding friends promised to help me rebuild it. I was still living at home but I only had a job driving a truck for a grocery store, so it didn’t pay enough to cover the cost of the parts I needed. My mechanic friends started taking me to clubs at the weekend, even though I was underage, where I could pick-up money singing for tips. My friends would be chatting-up the girls who made and paid for the requests ! I was eager to get the car built so one Friday night, even though the gauges weren’t yet hooked-up, I decided to drive myself to the club. It felt glorious to be able to arrive in my own custom coupe ! The night went well and eventually I drove home with one of my friends. We came to a traffic light on the way, at the same time as a Ford 406 and a Chevy 409, both revving their engines and preparing to drag-race when the lights changed. My companion and I exchanged gleefully evil glances as I slid into the lane next to them. As the light changed, my under-the-hood Paxton-McCullagh supercharger howled like a banshee and, although they got off the line faster than I did, I quickly overtook both of them and left them choking in my exhaust. About a week later, as my father drove me in silence to the Boston Naval Shipyard for the swearing-in ceremony, my mind drifted to the good times I’d had with my mechanically-inclined friends and how it had all led to the dismal state of affairs in which I found myself. I’ve always been able to escape into my imagination and this was definitely a time for it. The deathly silence in the car was becoming unbearable. I decided to try to start a conversation with my father, explaining that my friends weren’t really bad company. I told him that if he ever went to a legitimate drag strip, or went to a Demolition Derby, he’d get a better idea of what I was on about. I told him about Norwood Arena, about the size of the crowds and their reactions to the mayhem on the track. As a matter of fact, I suggested, Demo Derby competitions would probably make a good subject for a movie. But he continued to drive in silence, so I shut up. He may have wished me good luck as he drove away, but I really don’t remember much except feeling that I must have been a terrible disappointment to him. However, when I came back home on leave, several months later, he showed me the silent ‘dailies’ of the footage he and his crew had since shot at Norwood Arena in my absence. By this point, he was running his own film company, Pike Productions, and they had really managed to capture the excitement on film. When he told me that they’d recorded all the sound, too, I said that it needed a rock’n’roll score to go with it. He suggested that, if I wanted to take a crack at it, I should go and get my guitar. By the time I returned with it, he’d set-up a Nagra tape recorder, so he showed me how to turn it on and off and then left me alone. I began improvising, singing and strumming into the tape recorder but after some time, I began repeating myself and grew bored with the whole process, so I turned off the tape recorder. ‘That’s true ! It all came about while I was approaching my first Christmas abroad, in Lutjenburg. I was sitting in a restaurant, poring through a menu and trying to translate everything as best I could, when a Nun entered. She worked her way through the bar, holding a can which I assumed was for a collection. As she came near me, I went to my wallet and pulled out Five DM, but she passed me by. I called out to her that I wished to help, but she seemed flustered. When I tried to put the money in the can, she explained that she wasn’t taking donations, she was offering the customers a chance to draw a slip of paper from the can which would have the name and age of an orphan, for whom they could pledge to buy a gift. When I understood her mission, I asked if I could draw two slips. I got two girls names, one around three years old, I think, and the other around six. As it was nearly time for the shops to close, I left immediately and went to a nearby store where toys were sold. The two teenage sales clerks helped me choose appropriate gifts for the orphans and wrapped them beautifully. I left, bursting with good will, climbed into my Sunbeam Alpine and drove to the gatehouse of the Bundeswehr Kamp, where the gifts were to be dropped-off. I then turned the car around and started back down the hill. The falling snow in the little town looked like something on a Christmas card, but it had also turned the cobblestone street into a slippery decline and I lost control of the car. I skidded sideways down the hill and crashed, albeit ever-so-gently, into a Gasthaus (tavern.) As gentle as the impact had been, it had still smashed the right headlight and bent the fender against the right wheel, which I had turned hard-over in the hope of correcting the skid. I had become used to thinking in German but as I sat there, my head was just full of remonstrations in English, so when a crowd of locals gathered, I couldn’t understand a word they said. Fortunately, just then the two girls from the shop approached and when they saw me, explained that I was the American who had just been in their shop, buying gifts for orphans. Suddenly, everyone became concerned for my well-being. Luckily, I wasn’t hurt and while I was trying to explain, a big man lifted me aside and began pounding the fender away from the pinned wheel. Before long, I was able to get in and start the car, to see if I could get home. The steering was working again, so with just one functional headlight, I was able to wave goodbye and go on my way. Early the next day, I drove to a Mercedes workshop and arranged for the car to be repaired and re-painted. It would take about a week so I rented a car and went on my way. They called me when the repairs were done, so I could inspect their work before the painting was done. This was when I met Frank Dieter Andres, the autoschlosser (car mechanic) who had been assigned to my car. He was younger than me and something of an auto-freak. When he realised that we could converse in German, he decided to accompany me on the test drive so he could admire the car. He also asked what I did and I told him that I was in the U.S.Navy, but before that I had briefly been a rock’n’roll singer. It turned out that automobiles and rock’n’roll were his passions, so the next time I saw him, I gave him a stack of American Hot-Rod magazines. He was fascinated by the rail jobs and custom cars so, when it was time for him to knock-off work for the day, we went to a nearby ice-cream parlour where we could sit and talk and I could explain what he was seeing in the magazines. As we were talking in German, our conversation soon attracted a small crowd of younger kids who gathered to look at the photos. Frank was living with his grandparents and invited me to have dinner with them. He wanted to show me his electric guitar and introduced me to the most awful rendition of ‘My Bonnie Lies Over The Ocean’ that I had ever heard ! Apparently, it had recently been recorded by The Beatles. As I had been in the Navy since April 1963, they had not yet appeared on my horizon and, if Franks’ version of ‘My Bonnie’ was an example, I could only hope that they never would ! (I must add that I did finally hear the Beatles on German Radio, singing ‘Sie Liebe Dich’ (‘She Loves You’) and 'Komm gib Mir Deine Hand’ (‘I Want To Hold Your Hand’.) The track that Frank had played really hadn’t done them justice !) Frank handed me his guitar and I sang a few songs from my American repertoire. After that, I’d join him and his friends on weekends and we’d make the rounds of the dance bars, where Frank would talk the house band into letting me sing a few songs with them. I fell into a familiar routine, except that in Germany, the tips were drinks and, having never been much of a drinker, I became even more popular by sharing the drinks ! ‘True, but to understand what happened, we’ll have to back-up a bit. 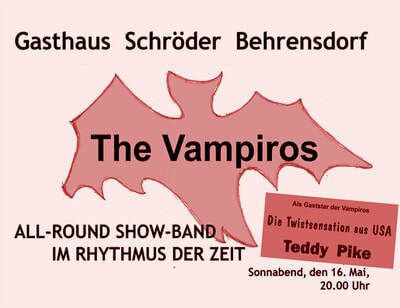 By May 1964, I’d earned a bit of a reputation in my little corner of Germany and somehow found myself booked at two different dance hall venues on the same night ! Fortunately, the owners of the Gasthaus Schroeder in Behrensdorf, a popular resort on the coast of the Baltic Sea, were able to come-up with an amicable solution with the owners of the Koralle in Plon, which was some 30 minutes away by car. 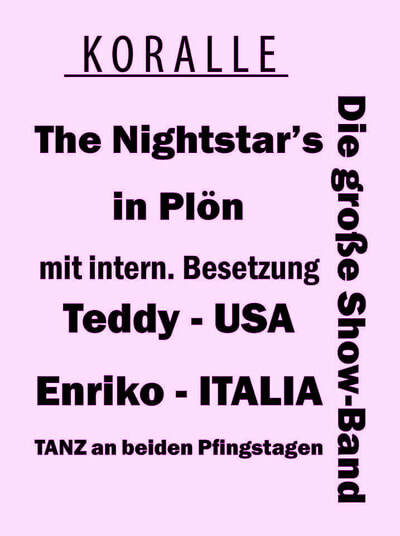 I’d open the evening with The Vampiros at 8 o’clock in Behrensdorf, end there at 8.40 and be delivered to Plon to open the show with The Nightstars at 9:10. When they took their break at 9:50, I’d be taken back to Behrensdorf to rejoin The Vampiros between 10:20-11:00, and then back to Plon to close out their 11:00 show by 12:00. 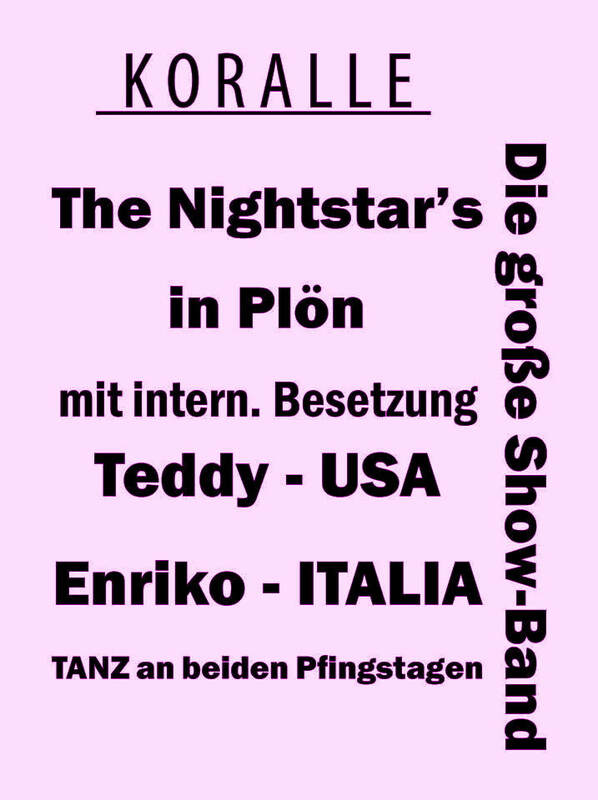 After this, I was back to Behrensdorf for their Midnight show, one more time in Plon for their 1:00 performance and then back to Behrensdorf one final time for their final set, which closed the club at 3:00am. In hindsight, I’m not sure if all these details are entirely accurate or even if we managed to keep to all of it, but the promoter, Werner Hingst, who went back and forth with me that night, decided that he never wanted to do it again and proposed that I pick the best musicians from each band and he’d persuade them to come together to form a new supergroup with me. Unfortunately, another car-accident in Germany, this time more serious, cut short your career with The Five Beats and led to you being returned to Massachusetts. ‘Things were going splendidly well and I was told that Werner was talking to interested parties at both Polydor and Phillips Records. I was concerned that the US Navy might refuse to let me sign a contract while I was still in the service, but before this issue was even raised, I was involved in another automobile accident. On a quiet rural road being resurfaced with fresh tar, a Bundeswehr armoured vehicle skidded into my little sportscar. I saw the hood (bonnet, you’d say) start to crumple, quickly turned away and never felt the impact. I never even heard the crash !The next thing I knew, some men pulled me out of the car. Commotion ensued and I withdrew into my own thoughts. When a German ambulance arrived, there was some sort of to-do that I gather had something to do with the fact that, being an American Navy Soldat, they were uncertain about whether they were authorized to cart me off to a German hospital. Anyway, after treatment my recovery was slow and some weeks later I was flown Stateside for bone graft surgery on the ankle broken in the crash. ‘I like your version ! Clearly, I would never be the ‘Twistsensation aus USA’ again, but there were others on the Naval hospital’s orthopedic ward far worse-off than me and, at least, being just across the river from Boston, my family could visit me regularly and, as my recovery progressed, I was given liberty to go home on weekends. I still spent weekdays in the hospital, but one of the elderly Red Cross volunteers loaned me a guitar to give me something to occupy my mind. I began writing new songs, taught myself an untrained and awkward finger-picking technique and eventually, they started wheeling me around the wards to entertain the other patients with parodies of popular songs and some original songs that I had composed for The Five Beats, in anticipation of an eventual return to Germany. In fact, it was this event that inspired him to produce the movie ‘Feelin’ Good’, which remains a cult-favourite to this day. The film featured eight of your songs and you fronted a band called the Brattle Street East. Outside of the movie, they were a real band called ‘Oedipus and His Mothers’. Why was their name changed for the movie, and was there ever any thoughts of you continuing to perform with them after the film was released ? After being discharged from the Navy, your next musical outings were playing solo in the ‘coffeehouse’ scene around Boston. What were your impressions of this new scene and how well do you think you fitted-in with the other singer-songwriters around you at the time ? Although you enjoyed playing solo and also enjoyed success in doing so, you next decided to form a new band, The Boston Massacre. Had you been missing being a part of a band ? ‘Yes. 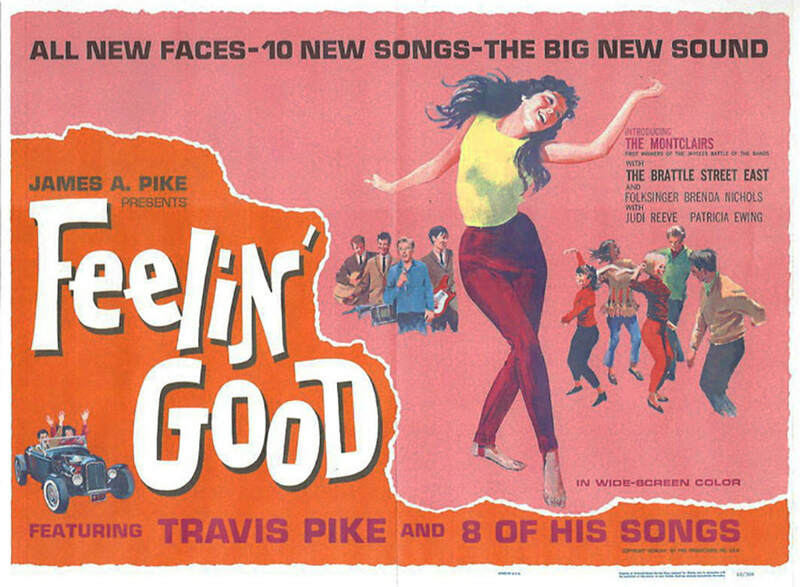 Most of the songs I sang in the ‘Feelin’ Good’ movie had been written for The Five Beats, in anticipation of one day returning to Germany to pick-up where I’d let off. I had tried a few out just with a guitar while I was entertaining on the hospital wards but I couldn’t really do them justice. So I concentrated on ballads and novelty songs, combined with some genuine folk songs, for my coffeeshop repertoire. However, the press releases and interviews leading up to the premiere of ‘Feelin’ Good’ had played big in the local newspapers and, while I was not a rock star, I did enjoy significant name recognition in much of New England. I included ‘Don’t Hurt Me Again’ and ‘I Beg Your Pardon’ to my set, but even then I would sometimes get requests for one of the rock songs from the movie. It left me wishing I had a band ! Afterwards, my friends couldn’t believe I’d turned down the offer, but my conclusion was that, if I was good enough for Nashville, I was probably good enough for New York. I wanted to assemble a group specifically to perform and, ultimately, record my own growing catalogue of songs. The Boston Massacre were one of the bands who played at the WRKO Harbor Happening event in 1967. ‘Yes, we played on one cruise ship and the Rockin’ Ramrods played on the other. What do you particularly remember about this event ? ​ You mention in your book that there was a ‘demo-album’ by The Boston Massacre. Do any of these original recordings still exist ? Shortly after the Harbor Happening event, you decided to change the name of the band to The Tea Party, for the good of the band as a whole, but you also declined a chance to sign a solo deal for your song ‘End of Summer’ and, on a separate occasion, you and guitarist Karl Garrett turned down an offer to work with Kama Sutra / Buddha Records, as it would not have included the other band members. Do you think this kind of integrity within bands was common in bands around that time ? Around this time, the so-called ‘Boston Sound’ was being touted in the regional press. Do you think that being included in such a category was actually damaging towards the band, especially as your musical output was so varied ? The band did eventually get a deal with Alma Records and released the single ‘If I Didn’t Love You Girl’ / ‘The Likes of You’, which coincided with your involvement in a new TV show on WBZ, ‘Here and Now’. But despite this exposure and the band being a very-popular live act at the time, the single didn’t sell as well as expected (since becoming a sought-after collector’s item !) Was there no talk of the band releasing further records with Alma ? As you said, the band decided to relocate to Los Angeles, which came after you were given a chance to visit California. It must have seemed like the ideal answer to the problems you were having in Boston, but the (literal !) loss of rhythm guitarist George Brox set things back which resulted in a slow-start to your plans. Do you think it was this loss of impetus that eventually led to the demise of the band ? After The Tea Party came to an end, you became more involved with script-writing and film-scores. Do you think that was a natural evolution, following your previous performance and story-telling experiences ? ‘Well, the only complete score to my credit was for the Golden Globe-nominated film ‘The Second Gun’. That came about when the producer, Gerard Alcan, heard me sing my song ‘End of Summer’ at a Christmas party in Hollywood. He said it captured the perfect Zeitgeist for his film, which was suggesting the possibility of another gunman being involved in the assassination of Robert F. Kennedy. I granted him the synchronisation rights for the music, but I wouldn’t let him use the lyrics as I didn’t want the song tainted by an association to the assassination. Keeping in mind that with such heavy material, less would be more, all I added to it for the score were ‘zingers’ played on electric guitar, single strident notes that underscored and emphasised whatever salient points the film made. You mention in your book that you were briefly involved in another band, ‘Majick’, in Hollywood during the mid-Seventies. From your comments, it didn’t seem to last that long. Do you think that, by then, you were just no longer really interested in being part of a band ? ‘When I gave up on putting together a band, I opted for assembling a cadre of talent to record ‘Changeling’. We called ourselves the Changeling Troupe and rehearsed when we could, sometimes just the musicians or with just the vocalists and my guitar, but rarely with the entire band. When we had a few of the songs down, I took them to a studio and recorded them. Then we’d repeat the process with the next batch. The idea was that I would always pay for the sessions and then, with the recordings in hand, seek funding for the project. However, I eventually ran out of money for recording sessions with no funding yet on the horizon. The musicians would call me regularly, but after a few months they either gave up on the music and joined a working group, or else gave up on me, so that was the end of it. The screenplay and recordings did get me work on other peoples’ projects, which brought in some income and added to my experience, but I was not doing what I set out to do. In 1987, I was ready to give ‘Changeling’ another shot. My friend, David Pinto, who had played on ‘Witch’ during the original sessions, had put together a digital recording studio. With my daughter as co-producer, we recorded a demo of the entire work. David played almost all the parts on emulator keyboards and lined-up the female vocalists. The tracks were extraordinary and my youngest brother, Adam, mixed then in his new studio. Ultimately, I rewrote the screenplay, changing its’ name to ‘Morningstone’ and, armed with this and the recordings, once more set out to seek funding. Unfortunately, I still didn’t find any investors, although again, I did get more work as a screenwriter, production manager, assistant director and director of production. I ended up recording Orson Welles as the voice of Wagner for ‘Wagner e Venezia’ and I was also the technical director for the English language dub of Ingmar Bergman’s ‘Fanny and Alexander’, which went on to win four Academy Awards. But I still wasn’t doing what I set out to do ! Which brings me to now. I’ve published the evolved screenplay as ‘Changeling’s Return’, along with an in-depth examination of its’ sources and specific references to its’ style, and I’m planning to take it further. I’m already doing a revision of the book, adding to the references, all in the hope of attracting a production company or distributor so that the thing can finally be made into the motion picture I have always hoped to see. It’s interesting that it’s a car accident in the screenplay that acts catalyst for the experiences that befall the lead character, Morgan, in ‘Changeling’s Return’. As someone for whom car accidents played a major role in the path of your life, did you deliberately include this ? ‘It isn’t a coincidence, nor are Morgan’s specific injuries. As a singer-songwriter who’d experienced the injuries, I describe his difficulties getting around on crutches and the excitement of the new songs he creates during his recovery. It provides verisimilitude to those sequences which is intended to pull the audience back to the present, in the Midlands, in the real world. In 1997, another of your projects, the stage production of ‘Grumpuss’, was premiered at Blenheim Palace in the UK. How did that come about ? ‘I put together a three-picture package of my fantasy adventures, including what is now ‘Changeling’s Return’, ‘Grumpuss’ and ‘Long-Grin’ (the latter being a story about a red-backed, scaly, black-bellied, tusked, bat-winged dragon that plays an important role in the Arthurian saga.) A three picture package is a staple in Hollywood, providing cross-collateralization should one of the movies fare poorly at the box office. I came close to getting the funding, but never close enough to close the deal. However, as part of the package I had recorded the entire epic narrative rhyme, ‘Grumpuss’, and when a copy of it was used by a professor at Bridgewater State College, she wrote that my performance began to haunt her mental landscape and invigorate her thinking about the relationship between myth, creativity and modern poetry. She had used it in her introduction to oral poetry in her ‘Homer and Greek Tragedy Seminar’ to stimulate discussion of the way fragments of culture can be re-integrated. She also asked for permission to use it with her English majors in her ‘Myth and Modern Poetry Seminar’. In recent years, you seem to have been re-visiting your past creative endeavours, either making them available again (in the case of ‘Demo Derby’ and the remaining material from ‘Feelin’ Good’) or by recording and releasing new versions of songs you originally performed in the Sixties. Have you been happy with the results and have you been pleased with the response they’ve received ? To make all of these recent projects possible, you created the aptly-titled ‘Otherworld Cottage Industries’. Do you think you are more content to be able to oversee these projects yourself, rather than signing them over to other labels or publishers ? With so many titles already available through Otherworld, you must be keeping yourself very busy. But as most of the releases to date have been ‘archival’, do you have any brand-new projects planed for the near future ? FEELIN’ BETTER CD. 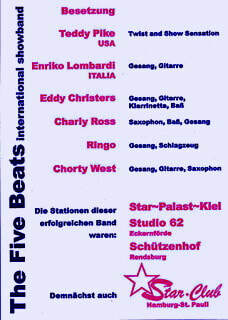 Ten songs originally written for The Five Beats. However, when a car crash brought an early end to their career, many of these would end up on the soundtrack to the movie, ‘Feelin’ Good’. The title track here is a new song inspired by the film, while ‘Rock’n’Roll’ is a stomping track dating back to 1965. The final track, ‘End of Summer’, is the quietest moment on the album and, as discussed above, featured as the instrumental theme to the 1975 movie, ‘The Second Gun’. RECONSTRUCTED COFFEEHOUSE BLUES CD. This is a selection of songs written while Travis was recovering in the Naval hospital and were first performed either for his fellow patients or when he began playing in local bars and coffeeshops. The songs range from Bluesy moments through to upbeat, playful melodies and will be of more-interest to fans of singer-songwriters and Sixties folk music. While there’s more instrumentation added to these versions, it works really well and gives a good indication of how effective Travis would have been as a solo performer. TEA PARTY SNACK PLATTER CD. This album gathers together new versions of songs from the time Travis spent fronting The Tea Party (previously The Boston Massacre) and I suspect it’s probably the CD that will prove of most interest to Fear & Loathing readers. Opening with a new recording of ‘If I Didn’t Love You Girl’, the a-side of their only single, this collection provides a great insight into how exciting and entertaining the band must have been in their heyday. Ranging from soulful crooners through to Frat rock stompers, it even veers into psychedelic territory at times. ‘Okay’ and ‘What’s the Matter With Your Mind’ are particularly effective, while ‘I’ll Do Anything I Can’ features some great fuzz guitar and ‘You Got What I Need’ is a raw Garage classic with a suitably sleazy groove. When you hear this album, you’ll just be wishing that the original band had succeeded in releasing an album back in the day – it surely would have been a classic ! MYSTICAL ENCOUNTER CD. Songs written for the ‘Changeling’ project, which most readers would probably refer to as a ‘rock opera’, although this actually has much more depth than most of those productions. 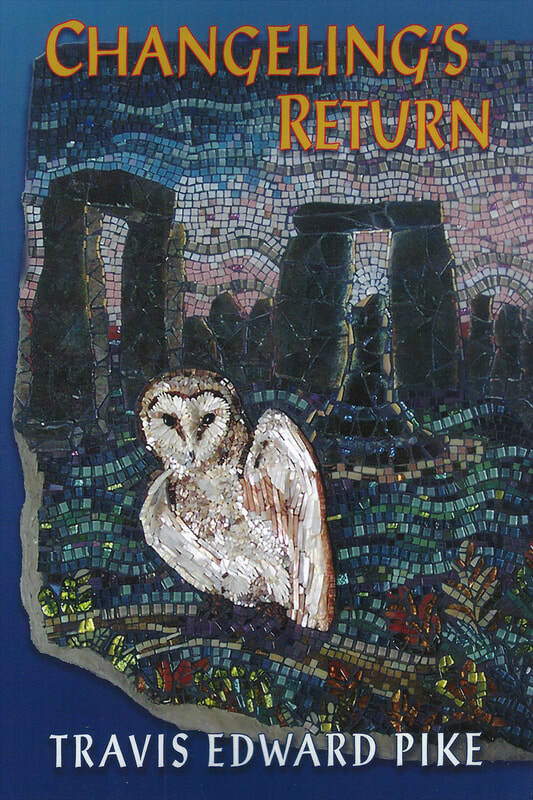 Veering from psychedelia through to narrative melodies, and incorporating supernatural and esoteric themes, it’s an interesting work that gains even further depth when combined with a reading of the ‘Changeling’s Return’ book. Not necessarily something that fans of The Tea Party will immediately embrace, but I would certainly encourage further investigation. OUTSIDE THE BOX CD. A selection of songs written in more recent times, with only a couple dating back as far as the Seventies. They really cover a whole spectrum of styles and themes, from the soundtrack-like ‘Andalusian Bride Suite’ and ‘Otherworld March’ through to the wonderfully bizarre ‘Psychedelic Meltdown’ and the hard-rocking ‘’Gotta Be A Better Way’. ODD TALES & WONDERS –STORIES IN SONG CD. A selection of songs originally written between 1964-74, including a different version of ‘End of Summer’, ‘Ali Baba Ben Jones’ and ‘Till The End (The Vampire Song)’ which date back to The Five Beats and Tea Party days. There’s also a great slice of hard rock in ‘Oh Mama’ and a new, solo version of ‘The Likes of You’, which first appeared on the b-side of the Tea Party 7”. ODD TALES & WONDERS – STORIES IN RHYME CD. As it says, this is a collection of Travis’ spoken pieces, mostly written in a style reminiscent of Lewis Carroll and quite removed from his music. A completely different but no less accomplished creative output, although you may find that these selection of tales will appeal more to your kids ! ​GRUMPUSS CD. Travis Pike’s epic spoken rhyme, comparable to Lewis Carroll and CS Lewis. Again, quite a separate entity from his music but certainly something that ought to appeal to the more curious among you as well as those pesky kids, again !) For the more intrigued among you, there’s also a full-length DVD capturing the entire, debut performance from Blenheim Palace.